At first glance, you could easily conclude that "Fantastic Beasts and Where to Find Them" isn't worth your time. A spin-off really? But looks can be deceiving and it would be a monumental mistake not to experience this new take on the wizarding world we are all so familiar with. What really struck us is the fact that we enjoyed "Fantastic Beasts" more than we did the "Harry Potter" films. It's quirky, it's fresh and totally different from what was presented before. "Fantastic Beasts" is truly fantastic in every sense of the word. It is 1926 and Newt Scamander (Eddie Redmayne) has just completed a global excursion to find and document an extraordinary array of magical creatures. His goal is to write a book about these mostly misunderstood creatures and hopefully bring about their conservation in the process. Arriving in New York for a brief stopover, he might have come and gone without incident. 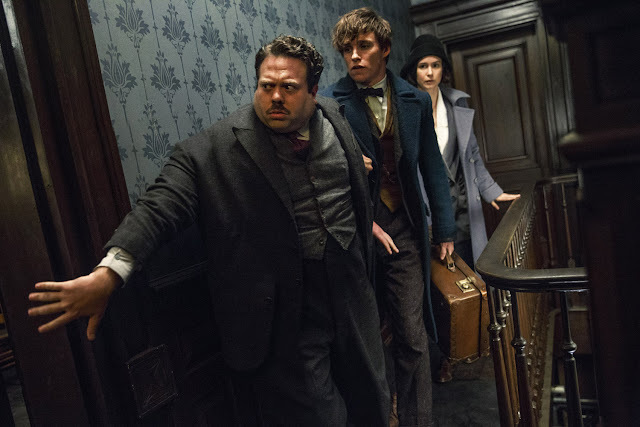 But after meeting a No-Maj (American for Muggle) named Jacob (Dan Fogler), he finds his magical case lost and the escape of some of his fantastic beasts across the Big Apple. While the task seems trivial at first, the repercussions are more dangerous than what Newt expects it to be and could spell trouble for both the wizarding and No-Maj worlds. If you thought that "Fantastic Beasts" will stick mostly to its wizarding world roots, it didn't. 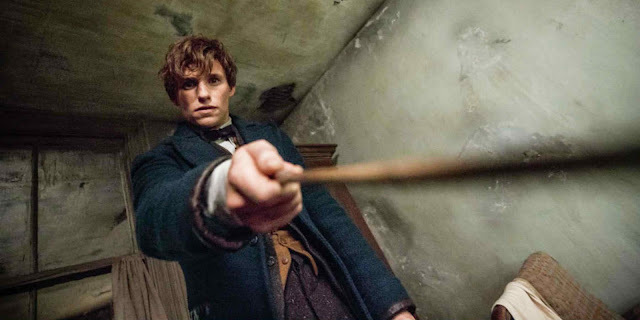 Newt Scamander is nothing like Harry Potter. He is not as great in terms of magic but what he lacks in talent, we found ourselves sucked in by the intriguing creatures he has inside his suitcase. You see, the film never really concentrates on wizards and witches alone, it's not wholly a battle between good or evil and definitely not just a hero vs. villain tale. You could say that magic takes the back seat a significant portion of the film. But that's not a bad thing at all as we found this fact quite refreshing. The simple story of Newt losing a few creatures branches further into a complicated tale of mystery and whodunit and its was literally magical how the film was able to navigate its twists and revelations. This is one of the smoothest screenplays we have seen for quite awhile and in itself a huge feat considering the scale of the movie. It is noteworthy to mention that the acting was spectacular and the chemistry of the main cast brings much life, laughter and tears into an already stacked film. Overall, "Fantastic Beasts and Where to Find Them" was a huge surprise for us not because we expected the worst but it completely obliterated our already high expectations. The visuals were topnotch, the new characters and creatures memorable and lovable and the story extremely inventive. - there's literally no reason not to watch "Fantastic Beasts and Where to Find Them"
Photos: © 2016 Warner Bros. Ent. All Rights Reserved. Harry Potter and Fantastic Beasts Publishing Rights © JKR.